With my herb garden on the back porch and plenty of fresh vegetables in season at the store, I’ve been taking full advantage and exercising a little creativity in the kitchen as well. 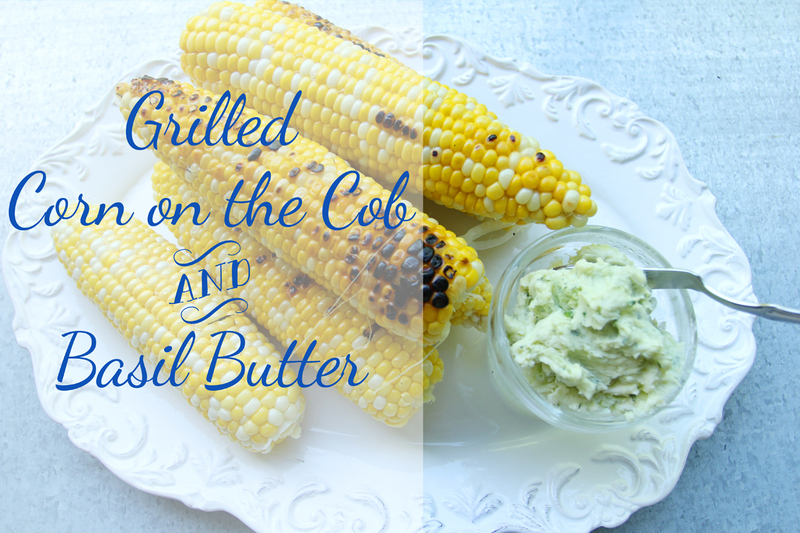 I’ve got a few recipes to share with you all coming soon and the first is this Grilled Corn on the Cob with Basil Butter. 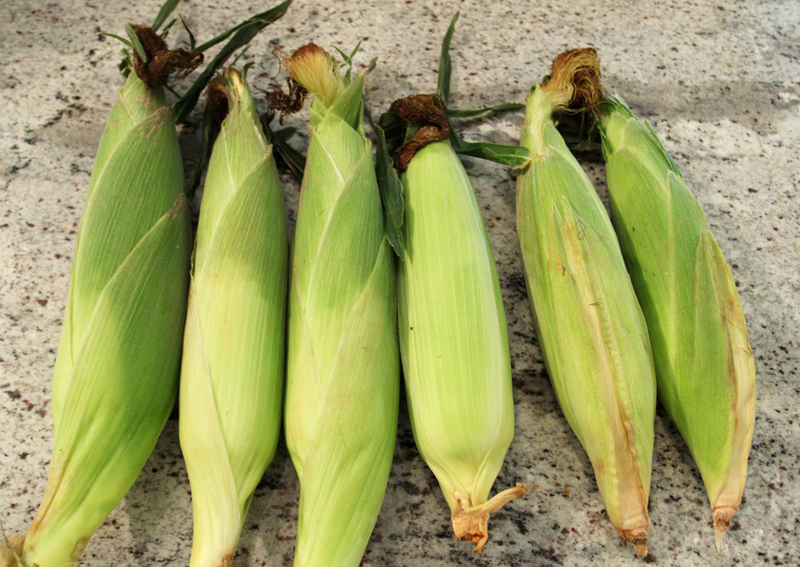 You may have cooked corn on the cob this way before, but if not, give it a try! There are only a few steps and they’re super-simple. 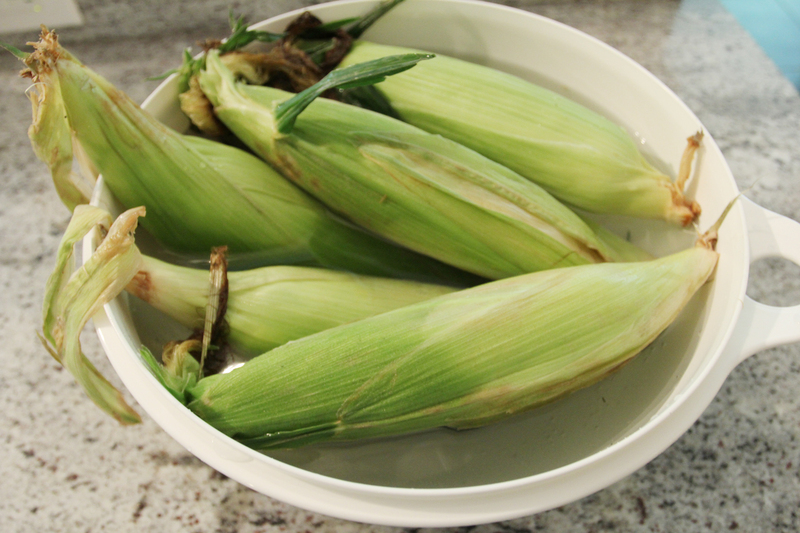 The corn is grilled still in the husks, so just start by soaking them for 15 minutes or so in a large bowl or bucket of water. Then, just place them on the grill with whatever else you’re grilling and let them go for around 15 minutes on medium heat, turning them about half-way through. And that’s it! Let them cool for several minutes when they’re done before shucking the burnt husks. Meanwhile, you can whip up some basil butter for a fresh-tasting twist. To do this, just pick and wash 10 or 12 fresh basil leaves and place them in a mini food processor (I have this one and I love it) with a stick of butter, cut up. (If you’re using dried basil, just use 1 to 2 tablespoons). Mix it well, and it’s done! Tastes great on mashed potatoes, green beans, or other vegetables, too! What kinds of creative dishes have you been making this summer? This entry was posted in Uncategorized and tagged Herbs, Recipes, Summer. Bookmark the permalink. Follow any comments here with the RSS feed for this post. Post a comment or leave a trackback: Trackback URL. I really want to have a BBQ tonight and try this recipe. Thanks for sharing.